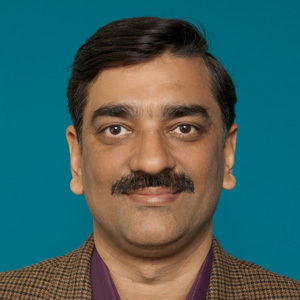 Niraj is Chief Executive Officer and a Co-founder of Netwoven, responsible for the strategic vision and direction. Niraj has been working with Fortune 500 companies to implement large-scale enterprise systems for the past 25 years. Prior to founding Netwoven, Niraj led a profitable Enterprise Applications Consulting Practice at Microsoft. His team implemented large scale deployments of enterprise applications like Siebel, Ariba, and SAP with Fortune 500 customers. Niraj’s team also led the design and implementation of OLAP solutions based on the Microsoft platform. Prior to joining Microsoft, Niraj led a profitable Business Intelligence Consulting practice with Oracle Consulting Services. Niraj has also worked with startup organizations in senior management positions. Niraj was the Director of Consulting Services at Zaplet, a Kleiner Perkins funded company. Niraj holds a BS in Computer Science from Birla Institute of Technology, India, an MS in Computer Science from State University of New York (SUNY), and an MBA from Duke University’s Fuqua School of Business in North Carolina.